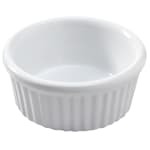 The American Metalcraft Ceramekins™ CRMK6 ramekin has a fluted exterior that makes the dish easy to grip and provides it with a classic look. With its 6-ounce capacity, it provides a perfect serving of salsa, condiments, sauces, and more. Its white color allows product to stand out. 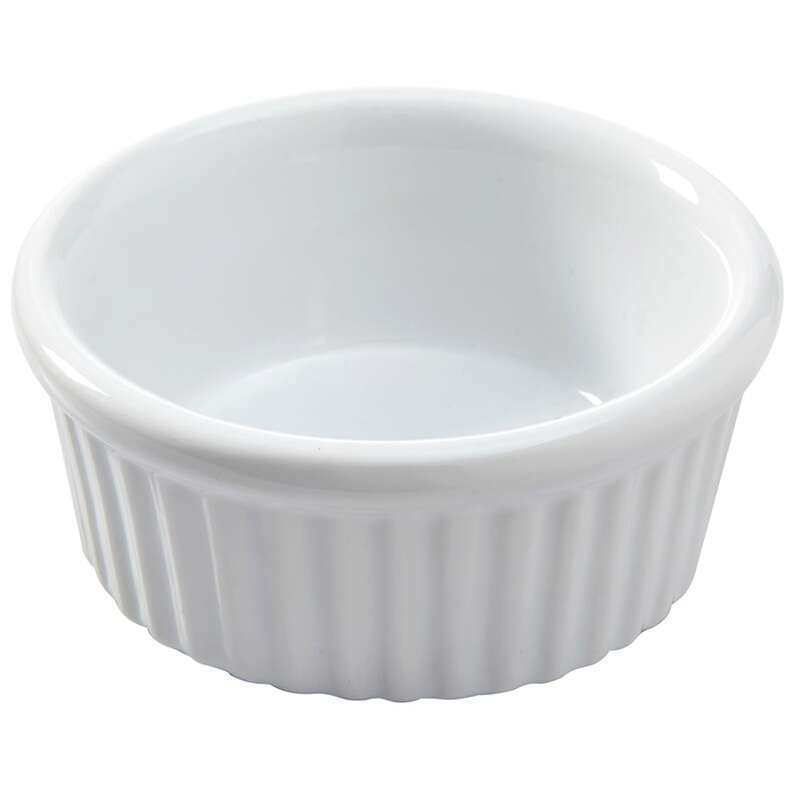 The American Metalcraft Ceramekins CRMK6 ramekin is made of ceramic for a classic feel.